The big question on the tip of everyone’s tongues: are these non-human virtual assistants about to steal our jobs? The answer, in short, is no. AI assistants are being created to help and enhance their human counterparts making us more efficient, and helping us optimise our time and resources. Whilst the fear circulates that AI automation will lead to job loss and higher unemployment rates, companies like Amazon are hiring more people than ever as artificial intelligence creates new opportunities and roles within businesses. The sole purpose of AI is not to produce the same product cheaper and faster - but to offer better products, customer service, and superior user experiences. Although a large part of AI assistants, we’re not just talking about robots who can help around the house or chatbots that answer your customer service queries. Cross-industry companies are leveraging virtual helpers to alleviate their monotonous or time consuming tasks. At the AI Assistant Summit next week (September 21 & 22) we will be exploring the implementation of machine learning and deep learning to create AI Assistants and conversation interfaces to create deeper, more personalised one-to-one customer experiences. Join RE•WORK to learn from experts from Google Assistant, SPIXII, Vodafone, Clare.AI, University of Cambridge, MindMeld, Facebook and many more who you can view here. Whilst retail therapy might be some people's idea of a relaxing afternoon, jean shopping is arguably up there with the least enjoyable type of shopping trip. Take Levi’s, for example, a retailer solely dedicated to providing the perfect pair of jeans, it’s overwhelming and downright confusing - too much choice, too many styles, and no guidance. 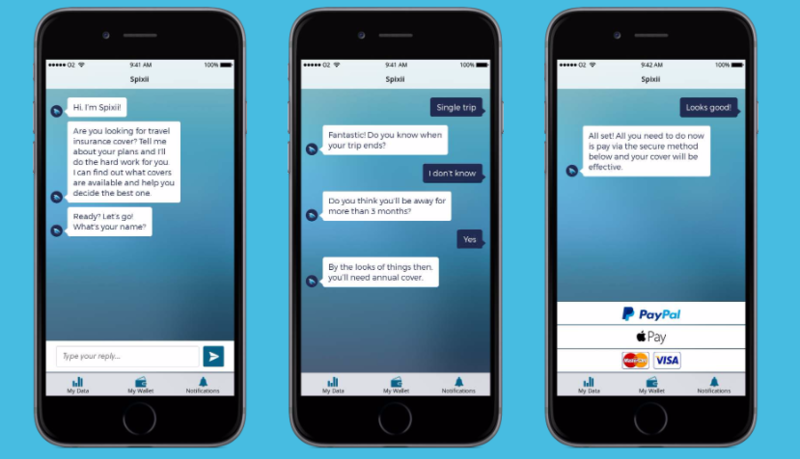 Levi’s have recently addressed this customer issue by introducing their virtual stylist who is available both through their website and through a Facebook Messenger chat bot. Levi’s plan is to apply their ‘unmatched fit and style expertise’ in their online shopping. Virtual Stylist is built by combining that expertise with artificial intelligence. Users are able to receive fashion advice – available throughout the site – in a conversational tone via their mobile device or laptop, creating a more personalized, easy shopping experience wherever and whenever they want it. The assistant is trained to incorporate the real-life training that in store stylists receive, asking the all important questions like how you want your jeans to fit, what colours you’re after, and your price range. It’s not only the customers who will benefit from the implementation of AI in retail, but marketing teams will see their campaigns becoming more targeted and relevant, driving sales and profits. AI is being used to personalise campaigns, segment customer lists, provide accurate product suggestions with accompanying images that each customer may find aesthetically pleasing. Whilst people are worrying about being out of a job, there are some industries that struggle to source enough employees. Japanese nurseries fall victims to this, and rather than having to overcrowd day care centres or close them down entirely, they’re introducing ‘care bear robots’ to help alleviate staffing shortages. These robots won’t be able to replace nursery staff, but can monitor a child's safety and wellbeing, from their body temperature to their sleeping patterns. If an abnormality is detected, the robot will sound an alarm and alert a human member of staff. 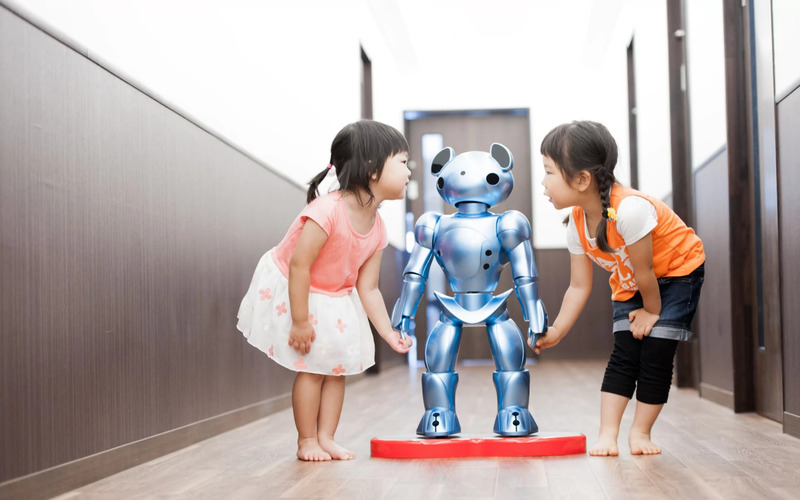 We believe that by supporting childcare education with this robot, we can contribute to resolving the shortage of nursery teacher and improving the quality of education. As well as assisting with learning and development in care, intelligent assistants are being tested by researchers to create ‘Alexa-like’ helpers to assist Alzheimer’s patients by providing verbal cues to help with everyday tasks. Home carers are expensive and in high demand, so the rise of virtual help will see an increase in the quality of care outpatients receive. Those early morning porridges and the 3pm double espresso pick-me-ups really add up - you spend enough money in your local coffee shop to justify shares in the company without even realising. Everybody’s been there. Managing money is tricky. When you’ve got direct debits coming out left, right and centre it’s almost impossible to keep track of what’s coming and what’s going without creating endless spreadsheets to keep track of the pennies. Startups are starting to identify this problem, and several apps and bots have been popping up with the intention of helping customers better keep track of this. SPIXII, the personal assistant to help you with all your insurance needs are aiming to empower financial companies to create increasingly personalised services for their customers. With a better understanding of their customers, they'll be able to deliver more and more flexible products, built around their customer. SPIXII are working to make the best dialogue management solution for insurance companies. Good and bad bots are really a thing, and in order to create a ‘good’ bot it must have a level of emotional intelligence supported by the AI behind the product. As well as the giants in AI such as Alexa, Cortana, and Google Assistant, there are some new contenders popping up to help you out in the home. Ever wished that your washing machine would tell you what cycle you need to wash your clothes on? Possibly not. But Samsung are pretty sure they’re onto a winner with their new ‘AI powered laundry assistant’ which is trying to save you time in your busy schedule. You can tell the machine what you’re planning to wash and it will tell you the optimum cycle according to the intelligent system. If there’s a problem with the wash, the built in monitors will send you a notification to let you know the problem with the device. Samsung are pushing the product as an assistant to not only save you time, but also to help you take better care of your clothes. If you're keen to learn more about the advance of deep learning and their impact on business and society, join RE•WORK at the Deep Learning Summit in San Francisco this 25 & 26 January.